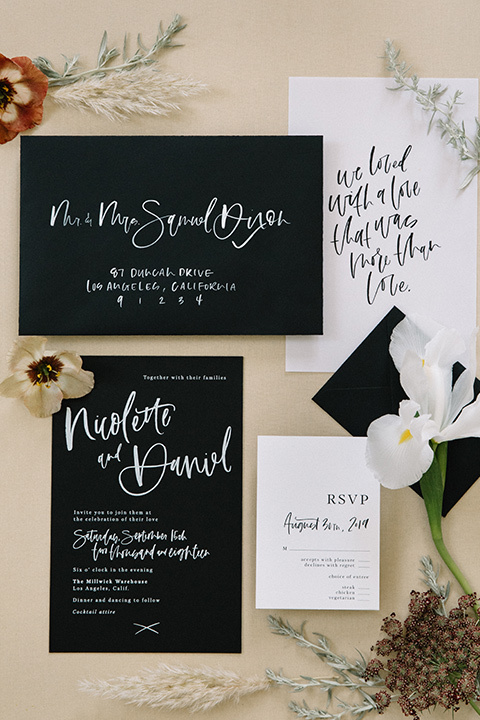 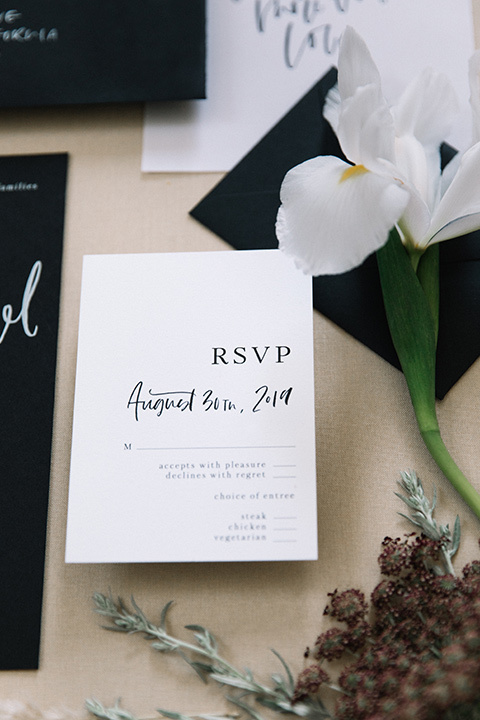 Starting with a black and white color plan for your wedding might just be the new thing and the best thing you can do and we intend to tell you why... Black is trending as a major color for weddings over the next few years, it is a dramatic and bold color that is timeless and will give your wedding a strong jumping off point for design. 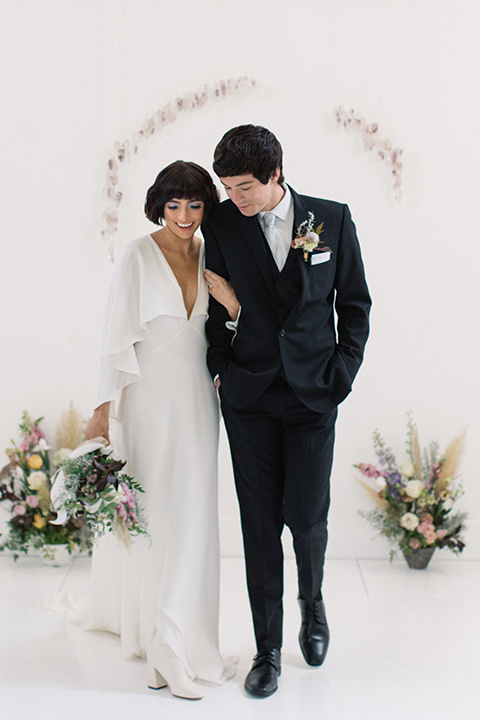 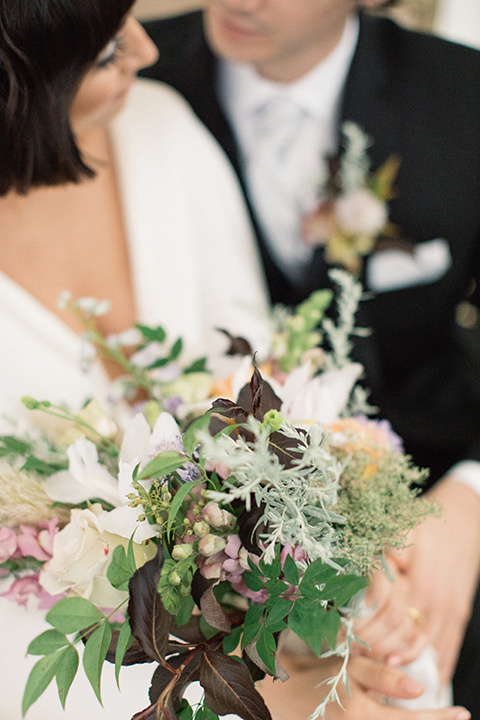 In this boho styled wedding at the York Manor, the groom wore a black suit while the bride wore a simple white wedding gown with a dreamy crystal shawl and retro inspired white boots. 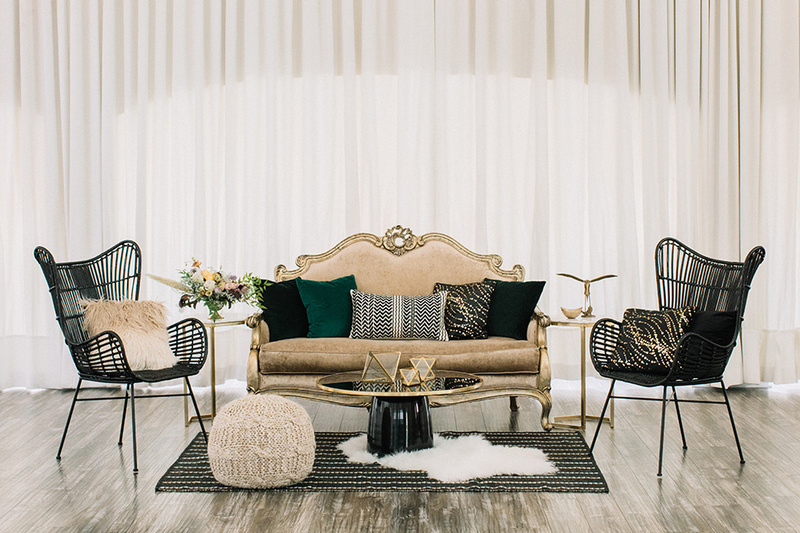 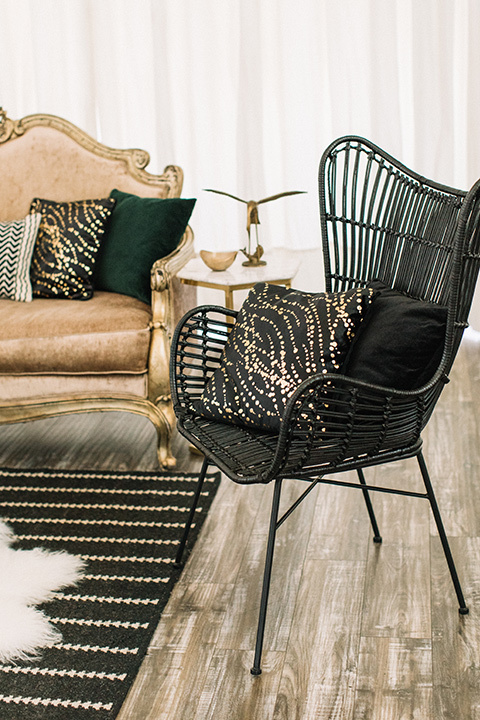 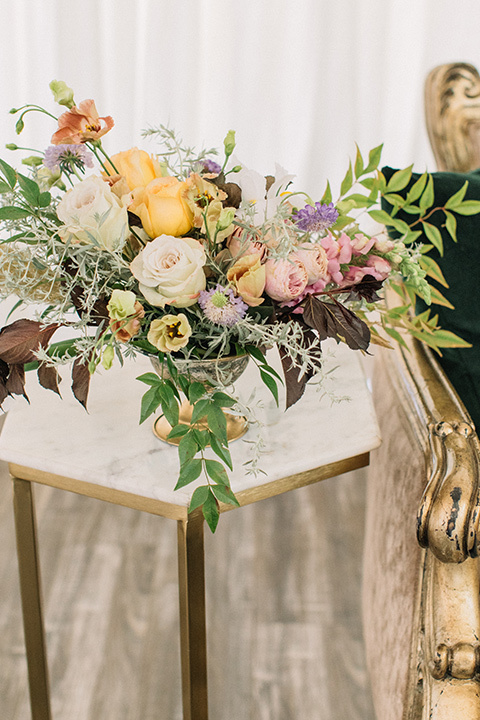 The wedding lounge furniture was a cool mix of a tan vintage sofa, modern black chairs and bohemian textiles and pillows. 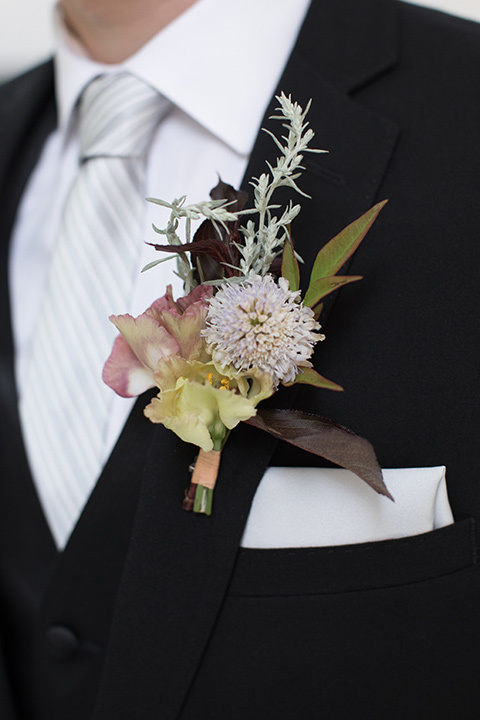 The flowers had a very natural style and made the wedding design more romantic. 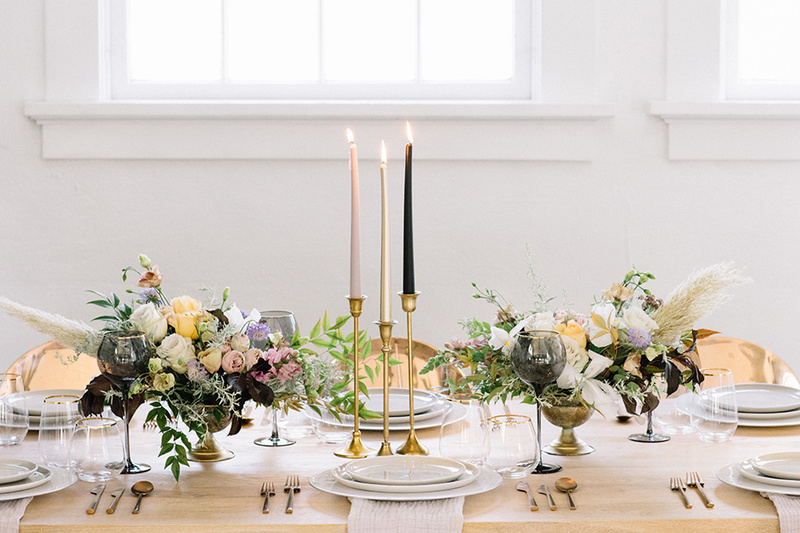 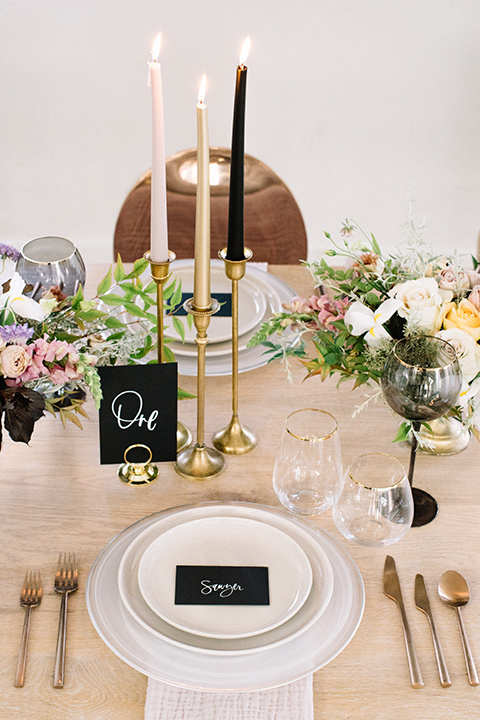 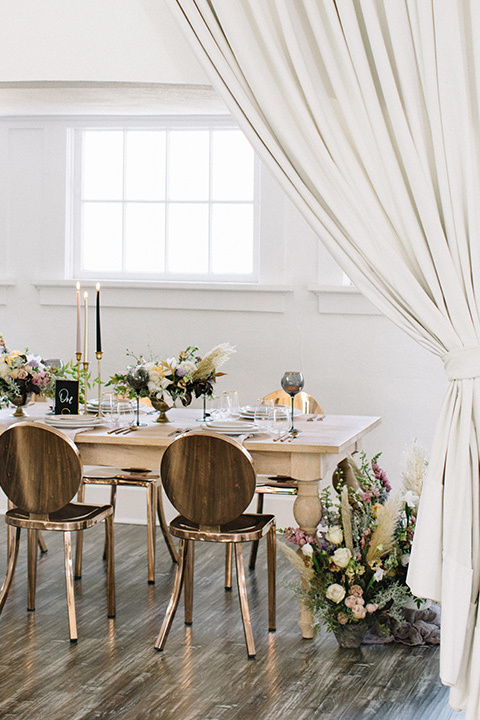 We love all the pops of gold in the candles and table decor for this wedding, black, white and gold, what more do you need for a modern wedding design?! 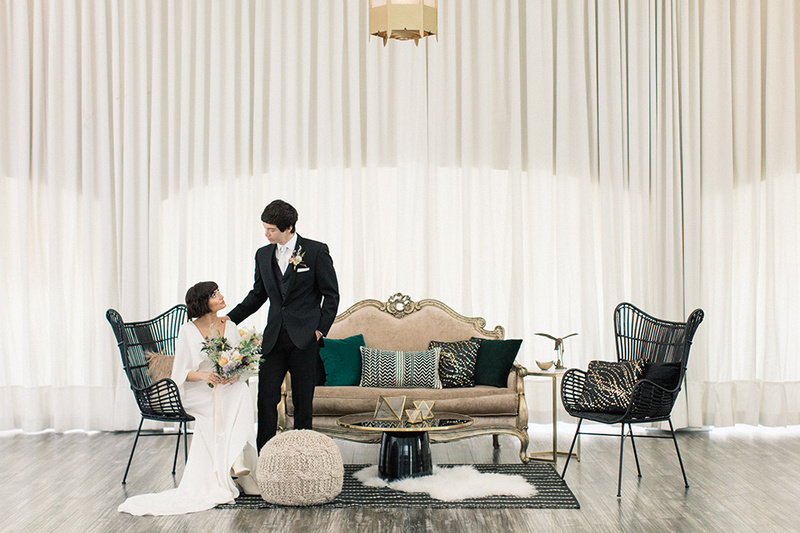 The couple also took advantate of the fun red door at the venue which made for a dramatic wedding shot that we love!